The short film-themed cut is what everyone on social media is talking about this weekend after the couple premiered it on TIDAL on Friday night. The stunning visual features some big-name stars including Omari Hardwick, Jessica Chastain, Thandie Newton, America Ferrera, Michael B. Jordan, Rashida Jones, Mindy Kaling, Constance Wu, Brie Larson, Rosario Dawson, and many more. This is the first video from the album 4:44 that JAY-Z is making a cameo in and his wife Beyonce and daughter Blue Ivy Carter also appeared in the cut. 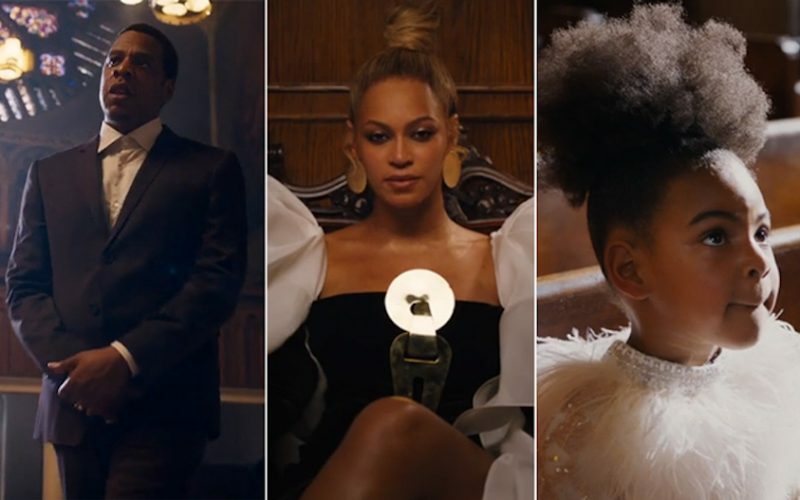 Perhaps the most talked about part of the video is when JAY-Z, Blue Ivy, and Beyonce go to church and the couple went into the confession booth with Hov on one side and his wife on the other side. The overall theme of the album 4:44 is one of confession with Hov admitting to infidelity and even going public about his mother being a lesbian. We’ve already seen nine other videos from the album and I guess the rap legend saved the best for last. Watch the video for “Family Feud” by JAY-Z and Beyonce below.